Who Uses Project Management Software? Has your team missed yet another deadline? Blame technology. No, I’m not trying to grab your attention by making a dramatic yet groundless statement. Technology has allowed businesses and organizations of all sizes to produce goods and services that would have been impossible 10 years ago. The problem is that not enough companies are advancing their project management strategy at the same time as they advance their other tech. Managers are using products like Excel to juggle their project plans, tasks, and teams even though these tools are no longer effective or efficient. It’s like using a Polaroid to take a selfie: you can do it, but how are you going to share it on social media? Apply cool filters? Make your friends jealous? That’s the problem. You can’t. By the same token, project managers that use Excel to oversee a project with more moving parts than the inside of a clock are forced to be more hands-on with their information management. Important data, like timeline progress, can’t be seen at a glance with Excel. You spend too much time scrolling through spreadsheets and, unless you’re really lucky, don’t see disaster coming until it’s past the point of prevention. That’s when important stuff gets missed, like deadlines. That’s the bad news. The good news is that if technology has you and your projects in a rut, there’s a form of technology that can get you out. It’s called project management software. Project management software is a productivity tool that makes it easier to manage and deliver a successful project. This article will help you understand how the right software can keep your team organized and on schedule. Building a new home is a project. Cleaning it every day is not. Creating a new GPS software is a project. Supplying it to Amazon and other online marketplaces is not. Putting together the Christmas issue of your fashion magazine is a project. Soliciting companies for ad space in a future issue is not. The leading software packages use click and drag technology to create a timeline, and adding project tasks is a simple matter of point, click, and insert info. Sharing vital project knowledge between team members and project stakeholders. This includes scheduled meetings, milestone deliveries, and any sudden changes in project scope. This capability is an extension of the collaboration feature. With a central location with all project-specific documents, digital assets, and communications, collaboration improves and, along with it, team productivity. You only have to go over budget once to know how stressful it is. Project management software can help you predict costs with more accuracy and mitigate them. Any project can be analyzed to identify positive and negative components. This capability makes it easier to re-implement strategies that work and discard those that don’t. 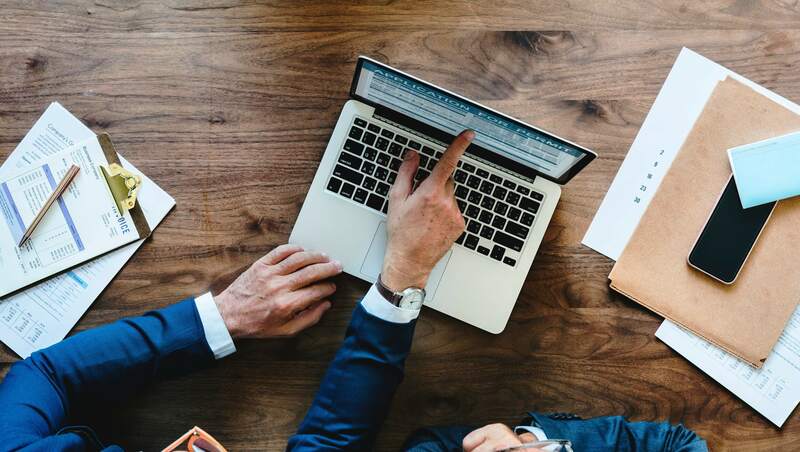 In a survey of nearly 500 owners and leaders from small businesses, Salesforce found that productivity software is the number one priority for spending the tech budget, with 39% of these companies valuing it above financial software and security systems. We can see why: productivity is essential to company growth and fiscal health. Project management software is one type of productivity software, and it’s essential for any team or business that manages more than one project at a time. If you work at a creative agency that relies on you to deliver (for example) print-ready magazine layouts, rebranded client materials, and even complete marketing campaigns, you’ll soon love your software more than your morning coffee. We researched what features actually matter to managers in a project management software, and here’s what they said. Any tools with a steep learning curve and features that aren’t user-friendly will not be embraced by your team or used consistently. When you have projects with tight deadlines, no one has time to figure out how to use a complicated new software. 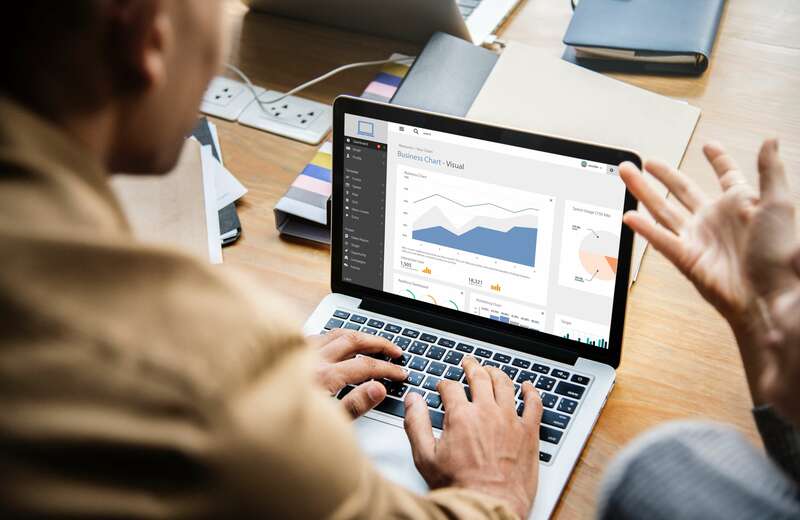 Small business owners and leaders all say that price matters when it comes to tech resources, so the best project management software tools combine a fair price and excellent value for money. When you’re busy and a client or senior manager wants a status report now, you need to be able to see in real-time what everyone is doing and how far along the project has come. To stay on track while anticipating potential problems, you need a project management tool that keeps you in control days, weeks, and months into the future. The best tools are niched to meet a very specific need. All-in-one tools often try so hard to do everything that they do nothing well. That’s why the best project management software integrates with the rest of your tech stack. As you plan for the future, you need a tool that’s capable of expanding its functionality. Nearly three-quarters of the SMB owners and leaders who responded to the Salesforce survey said that when they’re evaluating new technology for their company, scalability influences their decisions. They want solutions that meet long-term in addition to immediate needs. If you’re looking for the best project management software for your creative agency, here are some solutions that have garnered rave reviews from users. 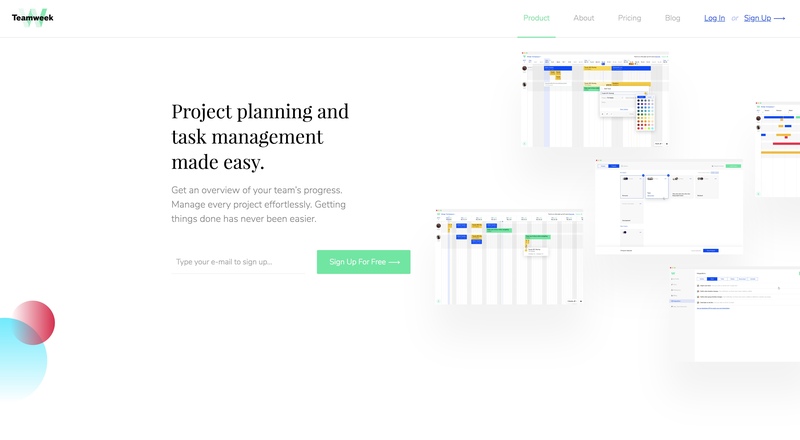 Teamweek is a web-based project management tool that’s packed with the visual features you need to manage a multi-faceted or complicated project. Unlike some software that requires you to shape your timeline and tasks to suit a native format, Teamweek is easy to adapt to your needs. One of its most popular features is the timeline, which takes the hard work out of organizing a project and managing tasks. If you need to update a task, milestone, or even the direction of the entire project, making the adjustment(s) and informing team members of the change is as simple as point and click. 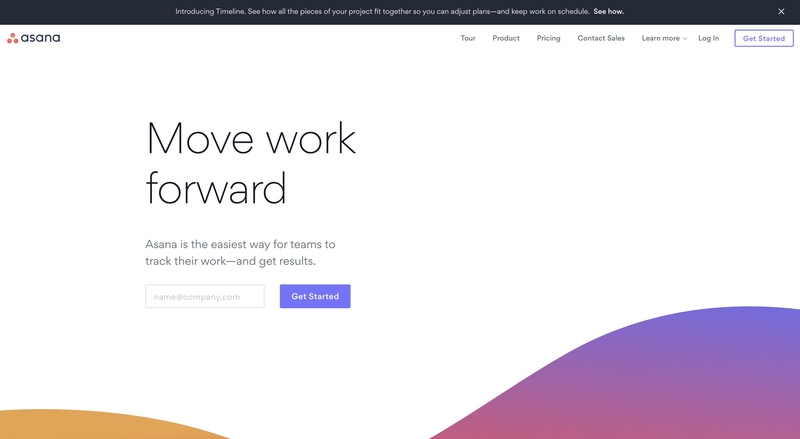 A lightweight project management solution with a beautiful design, Teamweek is ideal for creative agencies that need an easy-to-use tool to keep track of projects. Starts at $39 per month for teams of up to 10 people. 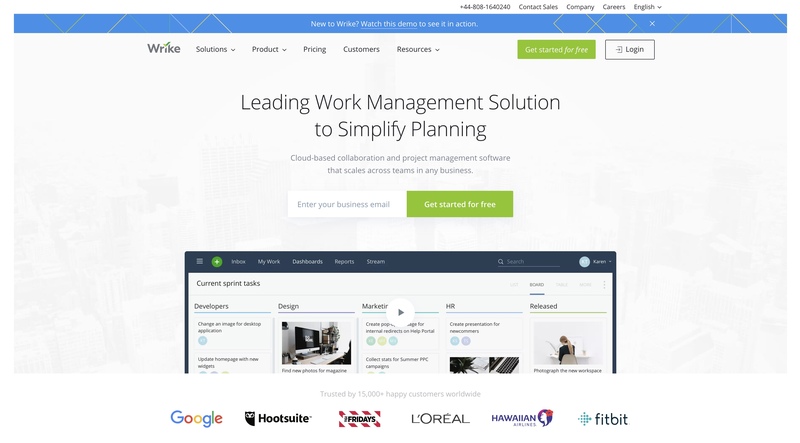 Wrike is a cloud-based project management software with a versatile and flexible platform. There are multiple chart options, allowing you to customize your timeline to match the way you like to present information. You can divide goals into manageable pieces, complete with due dates and the ability to attach files, which saves time. 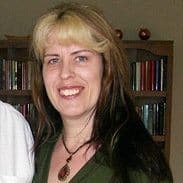 Project managers have commented favorably on the scheduling feature, which allows them to make better use of resources and deliver reliable results. Teams appreciate the easy integration with popular tools such as Google Drive, Dropbox, Office 365, and Adobe Creative Cloud. Put together templates that recreate frequently used project resources, eliminating the need to start over again each time you receive a project. Use logical timelines with tasks that are directly linked to their documents and other work, keeping information up-to-date. Generate instant status reports that dispense with the need for constant meetings. Starts at $9.80 per user per month for teams of up to 15 people. Monday.com is a playful yet powerful project management resource that your team will have fun with. Its visual project management and tracking features are complemented by bright colors that make progress easier to discern. You can easily add to-do lists, tasks, goals, and projects directly from the board, which also has a tool that lets you plan team workload over time and make optimal use of resources without overwhelming anyone. The centralized communications and document management capability keeps your entire team on the same page in real-time. For added convenience, Monday.com integrates with popular third-party apps such as Google Drive, Slack, and Dropbox. Visualize geographic information on a map, which is valuable for projects involving multiple locations. Creative agencies with highly visual output, such as graphic design companies. Starts at $29 per month for teams of up to 5 people. 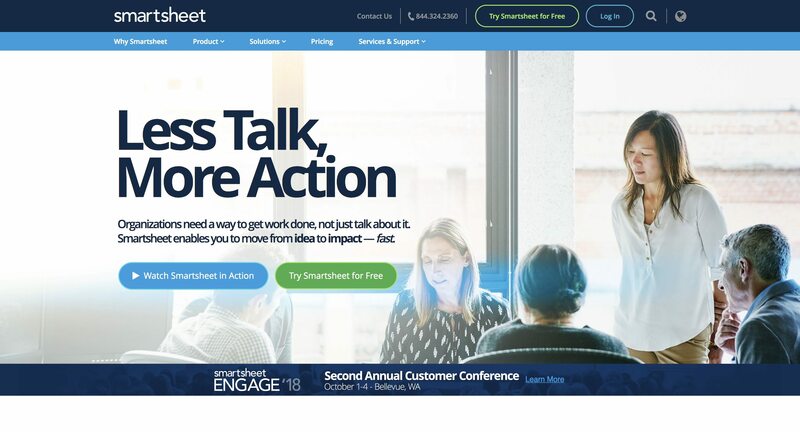 A lot of project managers love SmartSheet. It was a 2015 Google Marketplace App of the Year, a distinction attributable to its easy-to-use interface, which also packs the power to effortlessly manage the most complex projects. You can use it to manage projects of any size using Gantt charts similar to those offered by Teamweek, and when your deadline draws near, you’ll be thanking Smartsheet’s creators for its automated workflows and easy resource management capability. One of its strongest features is the collaboration tools, which allow everyone on the team to share their work in real-time and access their tasks and files from any device or almost any other app, thanks to integration with Microsoft Outlook, Dropbox, Salesforce, Evernote, and other popular applications. Import existing files from Microsoft Project, Excel, Trello, and Google Spreadsheets or use a pre-built template. Creative agencies that are growing fast, as pricing is scalable according to user and all features are easy to expand. ProjectManager is known for creating a sense of order and progress in projects that have the greatest potential to be chaotic (large teams, multiple assets, tight deadlines). The customizable project dashboard makes it easy to tell at a glance whether the team is on track and, if not, where the problem lies. ProjectManager is a fantastic team empowerment tool. Everyone can see what they need to accomplish that day, even if they’ve been assigned to multiple concurrent projects. Even if they’re out of the office or working remotely, a seamless integration with other tools, such as Google Apps, Dropbox, Slack, and Salesforce, allows them to stay on track even if they have to use other platforms. Agencies that tend to have the same people working on multiple projects simultaneously. Nearly 5,000 users on Capterra have rated Asana an average 4.5 stars out of 5. There’s a good reason why it’s getting this much love: the clean user interface provides an organized way for you to create a project plan, add tasks to it, edit them as needed, and cross them off when complete. All task changes and updates can be seen and commented on by the entire team. If your agency is a busy one and you find yourself working on many projects simultaneously throughout the week, Asana’s Timeline feature lets you stay on top of everything by keeping each project neatly organized. 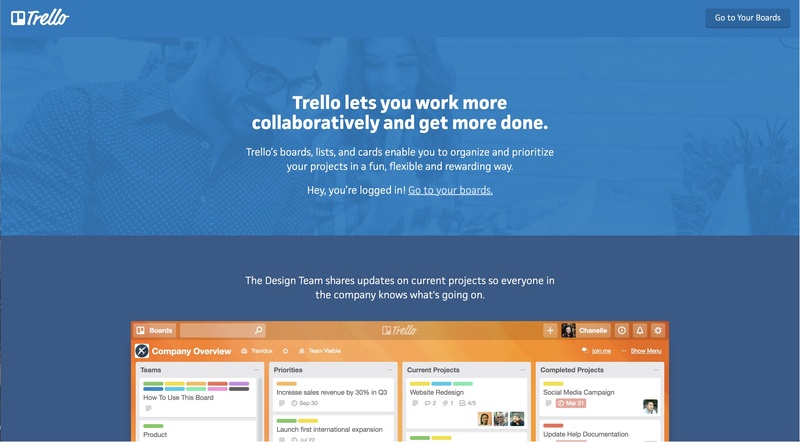 Trello has been embraced by project managers and individuals seeking to improve personal productivity because it does both and does it well. It’s a visual task organization and collaboration tool that lets you create project-specific boards, bring in team members and lay out their tasks in an orderly series of customizable cards. If you were ever a fan of sticky notes, you’ll love Trello. For easy adoption, you can integrate the apps your team already uses right into your workflow, although Trello is so straightforward that there’s next to no learning curve. Creative agencies that would like to use a single software for multiple applications, such as event planning, HR, and more. Mavenlink has gotten the nod from high-profile users like Forbes and Gartner. It provides teams of all sizes with an easy-to-use solution for planning projects and resources, tracking time, and even monitoring financial performance. You can collaborate using the centralized platform while monitoring your project’s relationship to the established deadline and budget. Unlike some project management solutions, Mavenlink places a strong emphasis on controlling profitability. Built-in tools make it easier to monitor costs of delivery and manage projects to their highest potential profit. Like all the best software packages, Mavenlink is 100% portable and can be integrated with most if not all apps that your team currently uses. Creative agencies that deal with tighter budgets, such as smaller companies and startups. If budget overruns have been an issue in the past, Mavenlink lets you detect when costs and exceeding approved levels and respond appropriately. One especially convenient feature is that Teamwork has a built-in document editor, so you can edit files in the app without having to open a different one. Agencies that are so busy that time is at a premium. Teamwork brings you up to speed with ease and accuracy. Starts at $9 per user per month. Last year Project-Management.com posted an article titled, “It’s 2017- Why Is Microsoft Project Still So Popular?” The answer is simple: it was engineered specifically for project management and, like other software, it has evolved with the times. Designed for teams of all sizes, Microsoft Project has all the tools you need to bring a project to a successful completion. The scheduling feature lets you define project tasks, assign them to the team, and track them. There’s also a useful budgeting tool that you can use to estimate costs and perform “Earned Value Analytics” to estimate the cost performance of your projects. Agencies that predominantly use Microsoft software. Starts at $7 per user per month. 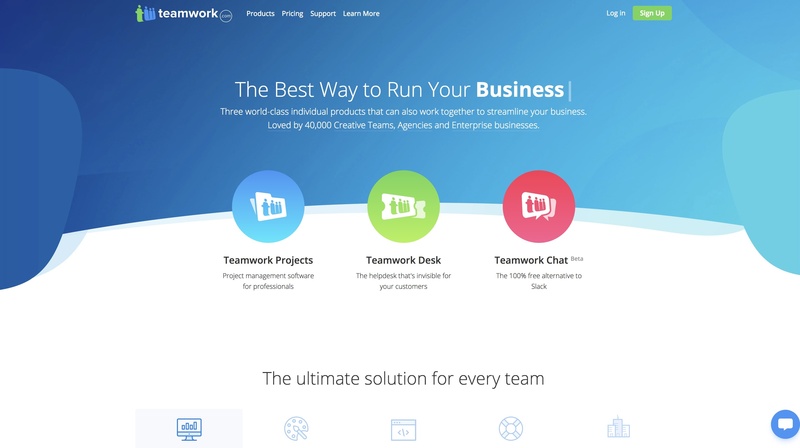 This web-based software’s primary strength is its collaboration platform. It’s a real-time communication tool that keeps your entire team on the same page and well-organized thanks to to-do lists, calendars, and file-sharing. Everything is in one place, from project documents to team commentary. While Basecamp is great for staying on top of actionable items and project priorities, other software does a slightly better job of long-term scheduling. 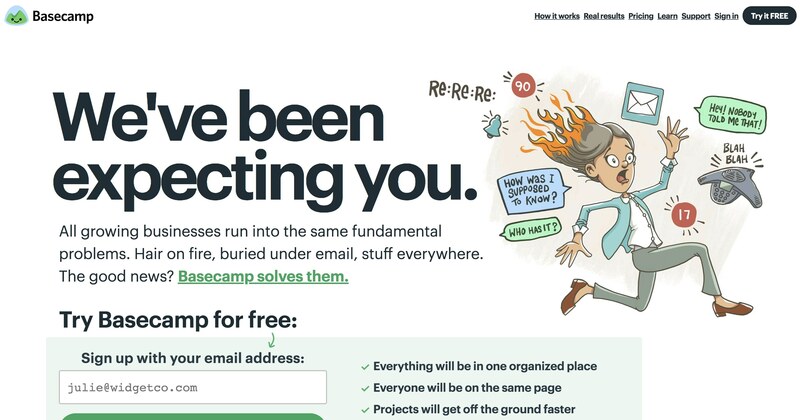 Nonetheless, when you have a project in progress, Basecamp shows you what needs to be done and when, which improves efficiency and accomplishes goals. Creative agencies that need a clean, efficient, and easy-to-use system and have other tools for resource management and long-term planning. Starts at $99.00 per month. This is what sets project management software apart from regular productivity or task management software. You not only specify tasks, but you also assign them to team members, monitor their progress, and mark them complete, allowing the next stage of the project to unfold. It’s like having your own assistant, minus the sick days!